Service and leadership have each played an integral role in shaping my interests and passions. As my experiences as a service leader have grown, I have come to realize that my work in service has greatly developed my work as a leader. In the fall of 2014, I embarked on my journey at the University of Cincinnati as a Ballet major in the College-Conservatory of Music with a second major in International Relations. Within my first few weeks, our dance department was visited by a group called Movement Exchange, a national organization made up of university chapters that promote sustainable dance outreach domestically and abroad. Their mission, to make dance education accessible to all, inspired me and encompassed three of my greatest passions—dance, service, and global awareness. I quickly decided to take on the challenge of starting our very own campus chapter of Movement Exchange at the University of Cincinnati. After overcoming the usual hurdles that arise when building an organization on campus from the ground up, our chapter slowly gained momentum growing in number of members, outreach partners, and service opportunities. Now, after three years as an active chapter, we have held two international dance outreach exchanges to Panama and built relationships with three local organizations including the Boys and Girls Club of Greater Cincinnati, WizKids and Cincinnati Big Brothers Big Sisters. Throughout this journey of developing service opportunities for our organization as the founding and acting president of Movement Exchange at UC, I have learned more than I could have ever imagined about myself as a leader. As a leader, it is often challenging to find the balance between your own needs and the needs of your organization. However, I have found that as a leader in service, it becomes simple to put the needs of the organization and its beneficiaries ahead—the success and growth of the members and beneficiaries becomes highly dependent on the leader’s ability to time manage and delegate. For example, at the start of our third year as a chapter, we lost the entirety of our executive board to study abroad programs, co-ops and transfers. While I had two members step up to fill a few of the leadership positions, I found myself to be the only experienced leader of a group of twenty service-minded dancers. Their opportunities to serve our community hinged on my ability to create partnerships and direct efficiently to make our mission possible. Not only did I have the challenge of creating domestic outreach partnerships, I also had the responsibility of organizing our second annual international dance exchange to Panama. The tasks associated with this were much more suited to my experience with the Panama exchange the year before. Thus, we quickly appointed a domestic outreach chairperson and split the work involved with organizing outreach between the four of us. Before we knew it, we had established connections with Cincinnati Big Brothers Big Sisters and The Boys and Girls Club of Greater Cincinnati. With these partners, we began providing monthly dance workshops specifically geared toward Cincinnati Big Brothers Big Sisters’ bigs and littles as well as weekly creative movement classes at the Boys and Girls Club. Through this challenge, I learned the importance of delegation in leadership. While it might be necessary for the leader to take part in each task delegated, so much more can be accomplished when the burden of responsibility is distributed. In this case, the driving factor for problem-solving and delegation was constantly the desire to serve our community by sharing our passion and gifts. 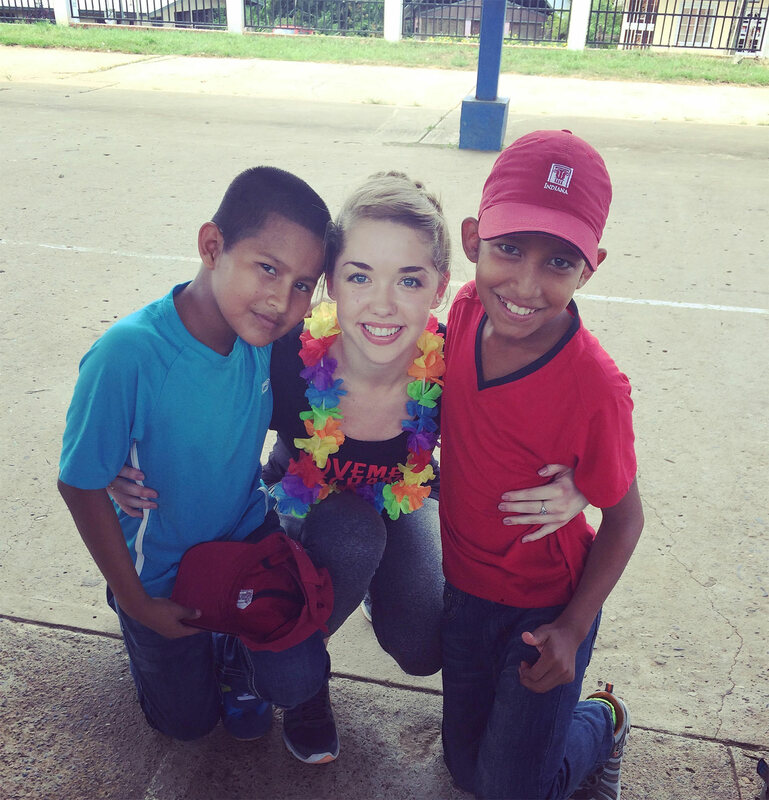 We were able to send five dancers to teach in Meteti, Darien Panama while also establishing and maintaining service with our domestic partners. Thus, not only were we able to share the gifts and learning benefits associated with dance with over fifty students in Panama, we were also able to begin serving over thirty children at the Boys and Girls Club with weekly dance lessons. Moreover, our leadership provided our chapter members with more opportunities to share their talents and serve our local and global communities through dance outreach. The lessons that I learned about delegation were developed through challenges but also through the lessons and inspiration that I acquired through actively serving. Leadership can be a daunting task, particularly when juggling schoolwork, jobs and other daily needs. However, each class or workshop that I teach is a beautiful reminder of why I push myself to serve and lead others to do the same. On my first exchange to Panama in 2016, I was able to see the improvements that just one week of dance training had on our students in Meteti. The children were happier, more social, and visibly more outgoing by the end of the week. This inspired me to work toward sustainable domestic partnerships to touch more young lives and provide more members with the experience of teaching and inspiring students right in our local community. After only my first three classes at the Boys and Girls Club as an instructor, I noticed that the kids were practicing what they learned at home and coming in each week excited that we were back to teach them. Through my service as an instructor, I learned how to lead humbly and how to connect with diverse populations. Dance is a universal language, an innate desire through which we can all relate. Service through dance has allowed me to share this with communities that otherwise would not have had access to such an organic form of learning and creative outlet. I take pride in using my passions to inspire others and to provide like-minded individuals opportunities to serve the community as well. This passion has driven me to lead and provided me with numerous lessons in leadership including delegation, perseverance, and overall time-management. I look forward to allowing my love for service, leadership and dance guide me through the upcoming chapters of my life with Movement Exchange and beyond.